Antony said of Cleopatra, ""Age cannot wither her, nor custom stale/Her infinite variety."" Shakespeare's sentiment can be applied to the women profiled in Great Second Acts who refused to be defined by the dates on their birth certificates. Their lives are testimony that one can be feisty after fifty. And to those who think otherwise, in the words of Justice Ruth Bader Ginsburg, ""I dissent."" Marlene Wagman-Geller, author of Once Again to Zelda and Behind Every Great Man, presents a fascinating collection of biographical vignettes of dozens of women of a certain age who have excelled, inspired, and achieved. Learn how these women changed their respective fields of art, politics, science, mathematics, media, literature, activism, education, and more. motivational, inspirational, and educational stories of older women. 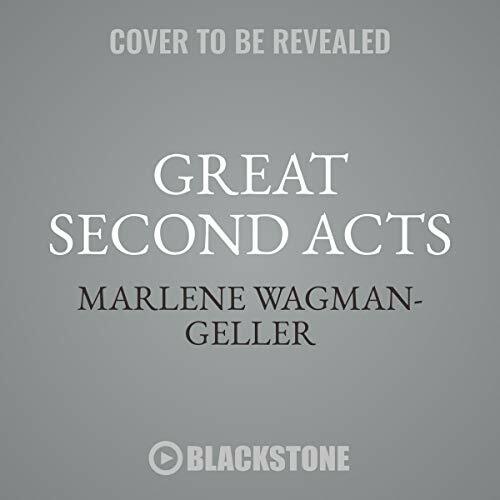 Written in an accessible narrative style, listeners of all ages will enjoy Wagman-Geller's entertaining storytelling prose of these remarkable women. An excellent gift for students, mothers, sisters, or friends, Great Second Acts will endure and delight. If you have any questions about this product by Blackstone Audio, contact us by completing and submitting the form below. If you are looking for a specif part number, please include it with your message. Harry S. Truman: Give 'em Hell Harry!